It is strawberry season. If you haven’t gone strawberry picking you better get cracking. I generally get a mess of strawberries right now and freeze them. “What is a mess,” you ask? Well, it is a technical term us southerners use when we are not sure how much of something we have. That means we are not sure how many miles a particular place is, but it is in close proximity of where we are standing. If we say bless your heart, that generally means we feel sorry for you. Bless her heart, that new hairdo makes her look like Snookie from Jersey Shore. I can attest that most southerners and northerners in the south love iced tea. We can drink it 100 ways to Sunday. That means there are many different ways to make it. This recipe calls for frozen strawberries, to use fresh, chop 10 oz strawberries and add a tablespoon or two of sugar. Let sit for 15-20 minutes until they macerate. That is just a fancy shmancy way of saying they give off their juice. 1.In a blender or food processor, process the thawed strawberries until smooth. Set aside. 3.Remove the tea bags without squeezing them. Stir in the sugar until dissolved. Stir in the limeade and strawberry puree. 4.Pour the tea into a 2 quart container and add mint sprigs if desired. 6. Remove the mint, then chill. When ready to serve, pour the tea mixture into a punch bowl large enough to handle the tea plus the sparkling water. Loosely add the sparking water. Serve over ice. 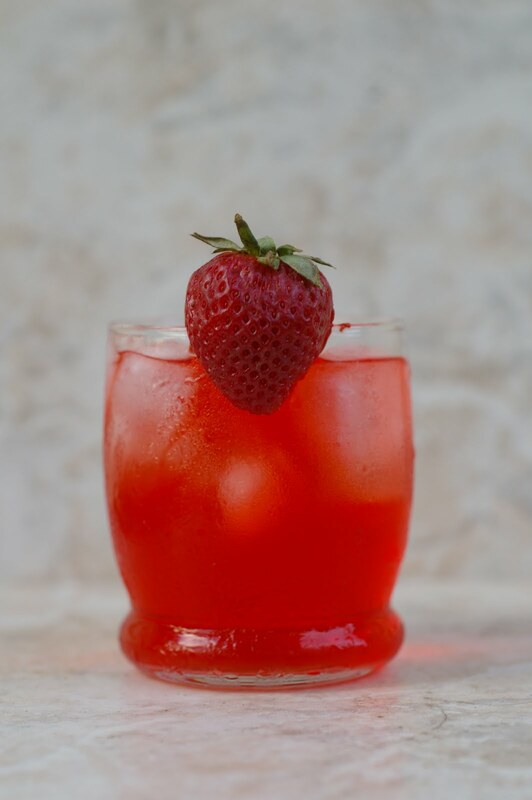 If desired, add sliced strawberries to the punch bowl or each glass for garnish. That really sounds wonderful! 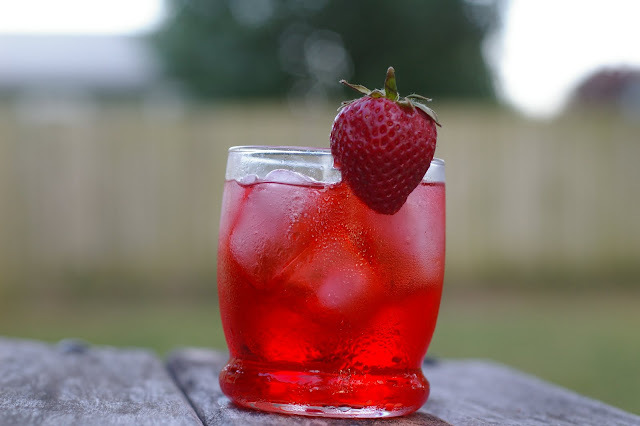 A perfect summer drink and one I’d love to try. Here in the North, tea is just another beverage and you can’t hardly get tea that is pre-sweetened in a restaurant. We have to sweeten it ourselves!!! Excellent way to use some fresh strawberries. This looks lovely. I missed strawberry season here. (It has come and gone.) 🙁 I will have to save this for next season. I definitely want to try this! Love your “Southernisms,” too! I am about ready to go pick a “mess” of blackberries, do you think this would work with them? Sounds delicious and of course it looks so cool and refreshing. I love strawberry season and use them in my salads. ha! ha! Gotta love the Southerners! Your tea looks beautiful and very refreshing right now! Looks so refreshing, I am gonna have to try this one. Love your blog! Yum! saved and buzzed! that’s one wicked recipe! … that means I really like it! I love strawberries, and I bet this tea was delicious! Sounds great – picture makes me thirsty just looking at it! Thank you for posting the recipe in our Seasonal Potluck!